New York financial technology company SmartAsset released the rankings from its second annual Healthiest Housing Markets Study and Leesburg made the list at number 9 in Florida, up from their ranking of 16 in 2015. The study measures market health by the average number of years residents spend in homes, home values, ease of sale, and the costs associated with ownership. Leesburg Chamber Executive Director Sandi Moore, City Commissioner Dan Robuck III and City Manager Al Minner attended the Lake County Legislative Days in Tallahassee. One of the Leesburg Area Chamber’s initiatives addressed was Leesburg’s Economic Development Climate, they communicated the importance of K-12 public education system and its effect on local business recruitment and economic development in the Leesburg Area. Education Funding for Florida schools is decided based on the Florida Education Finance Program funding formula. “The current FEFP results in Lake County School District being #66 (out of 67) in State funding despite being number 19 in student population”. 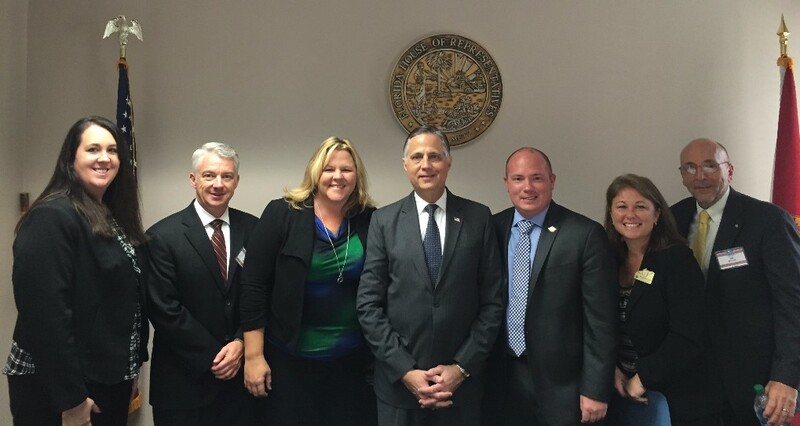 Groveland, Florida-State Rep. Larry Metz (R-Yalaha), filed House Bill 4047, seeking to repeal the District Cost Differential (DCD) contained within the Florida Education Finance Program (FEFP) funding formula for K-12 education. 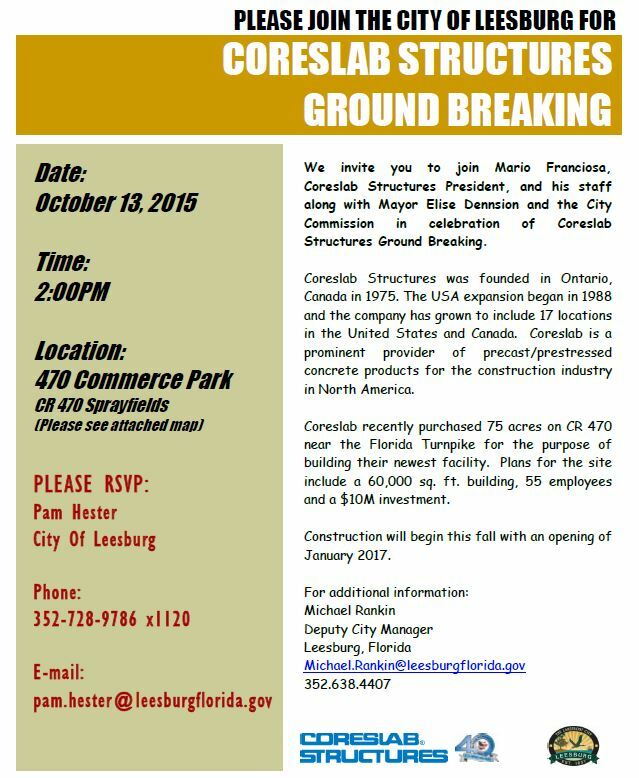 Leesburg is building momentum! 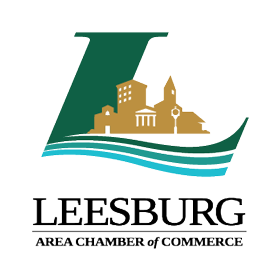 Thursday, December 3, 2015, 6 p.m. at the Leesburg Armory, the Leesburg Area Chamber of Commerce hosted the 79th Annual Chamber Awards and Installation Gala, the “Chamber Express”. 225 guests gathered to celebrate the Chamber and the Leesburg Area businesses achievements. Snowflakes danced on the screen, as the “Chamber Express” train envisioned and built by Bob Tucker, Events by Miss Daisy and Rick Rojas, A Plus Printing greeted guests once entering the decorated venue, a wintery night at the North Pole. Inspirational and motivational greeting by our very own Executive Director, Sandi Moore embraced the motto Imagine with all your mind, Believe with all your heart and Achieve with all might. An extraordinary evening, with entertainment by Paint it Black Quartet. Event coordinator and décor extraordinaire, Events by Miss Daisy transformed the venue into the snowing night at the North Pole, and gourmet caterer, Chef Jessy Flinn, Gourmet Today created a Christmas morning menu, including carving stations, waffle station, mash potatoes station and so much more. Leesburg Area Chamber Executive Director, Sandi Moore and M. C. and event sponsor J. Scott Berry presented the 2015 Leesburg Area Chamber of Commerce Awards to local community members and area businesses that have invested time, money and heart into Leesburg. 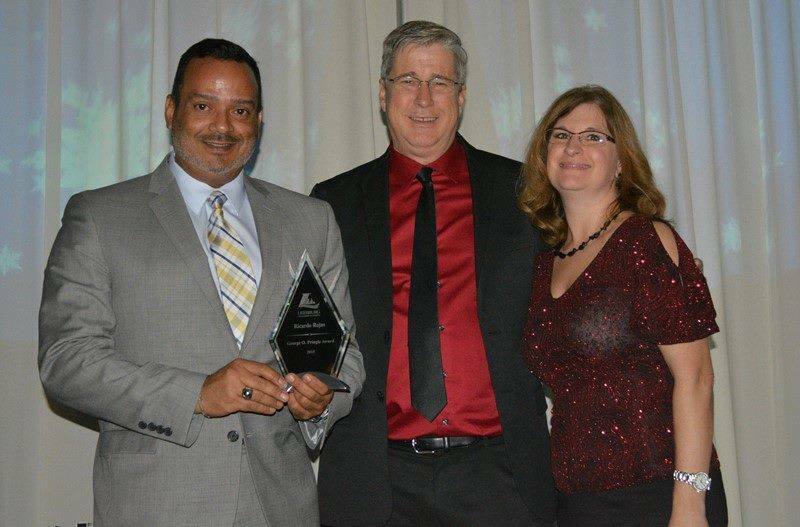 Recipient of the prestigious chamber award, the George O. Pringle Award was Ricardo Rojas. Followed by Business Women of the Year Award recipient Jessy Flinn, Gourmet Today, Entrepreneur Award recipient Bob Tucker, Events by Miss Daisy, Humanitarian Award recipient LassiterWare Cares, Leadership Award recipient Freddie Williams, Public Service Award recipients, City of Leesburg Commission, Business Achievement Award for Small Business recipient Care Patrol, Business Achievement Award for Medium Size Business recipient, Azure Water Company and Business Achievement Award for Large Business Stokes Fish Company & Lake Trucking Company. Each award recipient was nominated by the Leesburg Area Chamber Members, Ambassadors, and Board of Directors. Thank you to all of the Event Sponsors for helping make this night memorable and extraordinary! Events by Miss Daisy, Classic Tent & Events, City of Leesburg, Grand Rental Station, AllState Stokes Agency, Comcast, Plaza Cadillac, Leesburg Regional Medical Center, Akers Media Group, ERA Grizzard, Lake County Economic Department, Leesburg Partnership, J. Scott’s Skin Care & Day Spa, Citizens First Bank, Lake Eye Associates, CenterState Bank, LassiterWare Insurance, ESI, A Plus Printing and United Southern Bank. 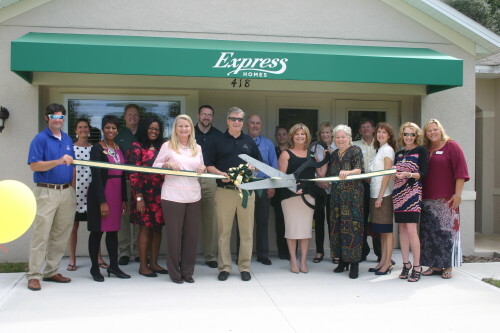 Promoting Progress and Profit in the Leesburg Area! 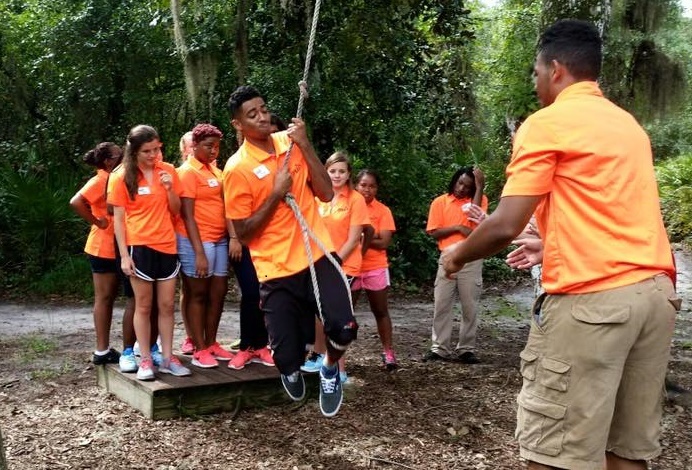 Leesburg Area Chamber of Commerce-Spark Program– On Monday, September 28, 2015, 45 Leesburg High School Juniors and Seniors congregated at Warren W. Willis United Methodist Youth Camp to build on leadership and team building skills. Students participated in the Challenge Course which included ropes exercises (low and high ropes). The Challenge Course offers group exercises that help strengthen team building skills by reinforcing trust and communication through a diverse range of exciting activities and challenges. Last school year, a bright spark was ignited, as student leaders from Leesburg High School had the opportunity to participate in a leadership development program created by Leesburg Area Chamber of Commerce for Leesburg High School students. 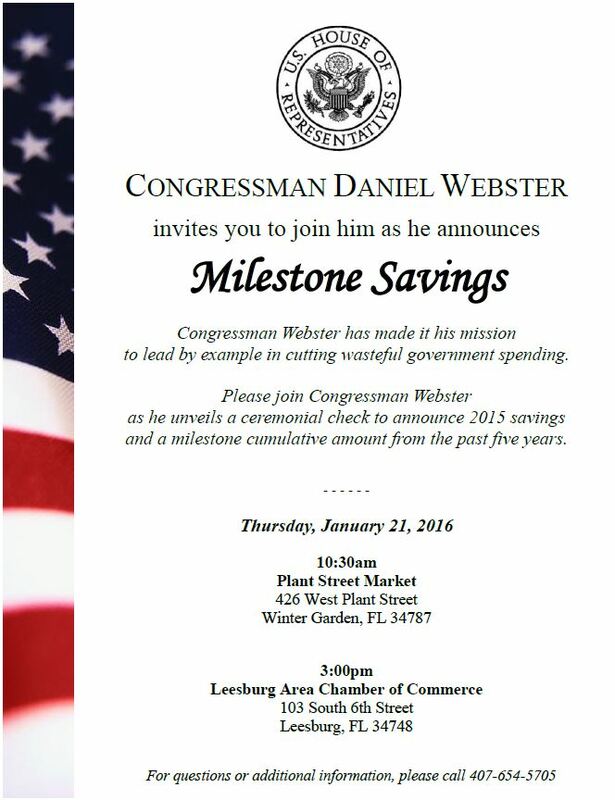 The goal is to ignite our leaders of tomorrow, and promote Leesburg and Lake County opportunities and its success. With the assistance of LHS administration and faculty, we identified student leaders within the school including; academic, sports, performing arts, agricultural, etc. to participate. The program is organized as 5 day trips/sessions, scheduled throughout the school year. These trips are held throughout Leesburg and Lake County and provide a learning experience about the area and the different opportunities that our great county has to offer. Thank you to our Sponsors: LRMC, SBDC-Leesburg, LSSC, and Sunset Rotary!!! LassiterWare Cares, Leesburg Area Chamber of Commerce, Jon’s Nursery and Boy Scouts beautify Beverly Shores Elementary. 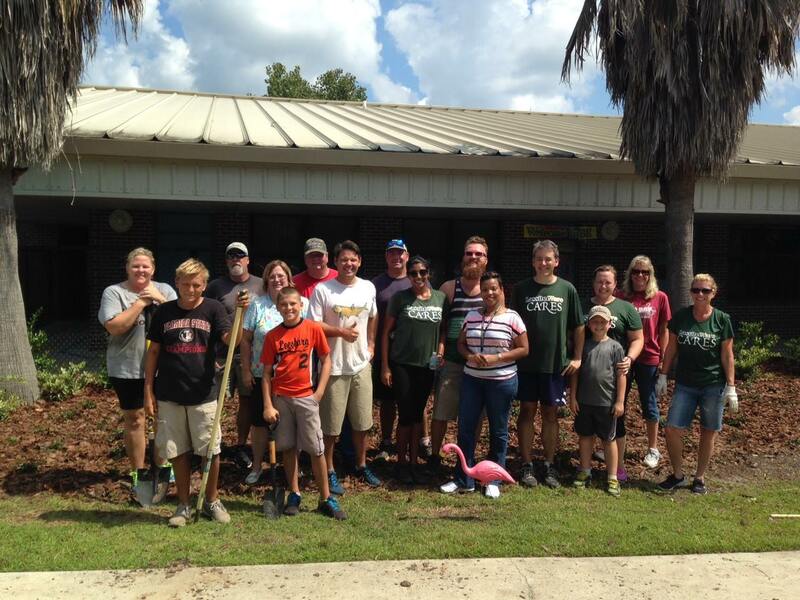 Leesburg, Florida – On Saturday, August 22 2015, at 8:00 a.m., Beverly Shores Elementary School was invaded by rakes, shovels, mulch, plants and a tractor. With the assistance of School Principal Monica Gordon, community partners LassiterWare’s Foundation, LassiterWare Cares, Leesburg Area Chamber of Commerce, Jon’s Nursery and the local Boy and Cub Scouts tackled overgrown bushes, weeds and a lack-luster picnic area. Thirty (30) volunteers worked together to spread 40 yards of cedar mulch in existing floral beds and the student picnic area, as well as plant donated bushes and ground cover. “It was fun working with Sandi and the Chamber. It is my hope that the LassiterWare Cares team put a big smile on the face of Beverly Shores Elementary teachers and students for the first day back! 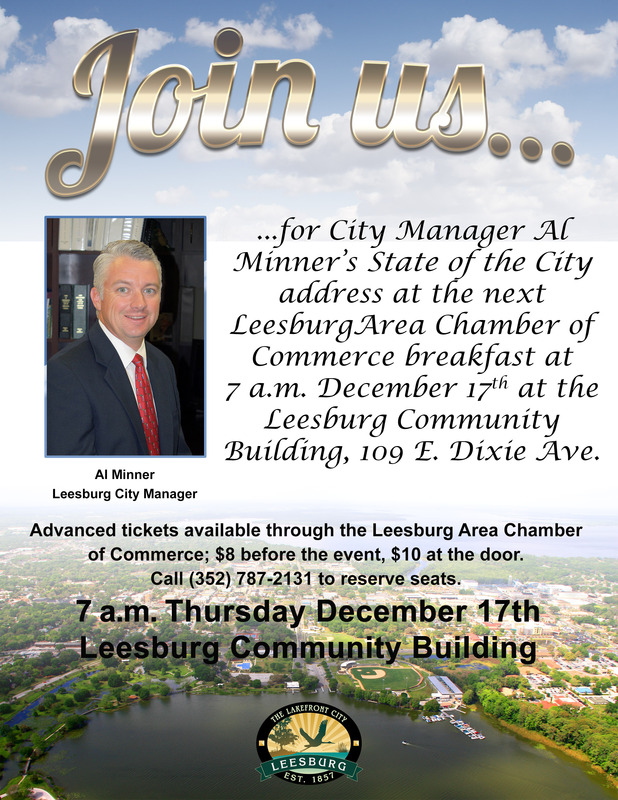 We stand dedicated alongside the Leesburg Chamber in the development of the young minds and hearts of Lake County” Doug Childers, Jr., LassiterWare President/CEO. Leesburg Area Chamber is fortunate to have community and business partners such as; Jon’s Nursery, who donated 25 Ligustrums, 25 Ligustrum-Jack Frosts and 10 flats of Asiatic Jasmine for the front flowerbeds to create a welcoming and inviting school campus. And, LassiterWare Insurance, a century old Leesburg business whose corporate values include community, take pride in supporting the places they live and work. LassiterWare Cares Foundation, which is solely funded by the employees of LassiterWare, donated time, sweat equity and mulch to the Beverly Shores Elementary Landscape project. The Leesburg Area Chamber of Commerce’s Education Committee and its partners strive to support and improve Leesburg Community Schools. School Pride is an essential element that motivates, builds, and instills values, confidence, and appreciation in our Students, Staff, Faculty and Administration. Our Schools are a reflection of our Community.